The Head Sculpt and YOU! Discussion in 'Transformers Toy Discussion' started by Hitman84, Aug 15, 2010. So, I got to thinking about this when I was in a area chain of toy/hobby stores when I came across an Energon Arcee(that I should have bought). From what I could tell she's basically the same as the first movie Arcee but with a MUCH nicer head sculpt. Some of the new HTFD figures have AMAZING head sculpts, the first two that come to mind are Seaspray and High Brow, IMO they fit the toy and alt modes so well. Even NO ratchet finally got some paint on his face, this was one of the reasons I never got the original movie ratchet and to this day a movie ratchet is sorely missing from my collection, I was really hoping for a premium release of him. How important is a head sculpt to you guys and does it determine a purchase for you? 80-90% of the character is portrayed with the head sculpt. So it's pretty damn important. Just look at the situation with Punch/Counterpunch. He's such a polarizing figure because of his head. The headsculpt is what makes me go "meh" to the coneheads. So yes, I care about heads quite a bit. It is very important. It can really detract from the overall look of the figure. So long as it's decent, I'm cool. I was pleased by '07 Screamers face, many fans seemed butthurt by it. I like Scattorshot's head. The upcoming Firetrap repaint (which is a barely disguised Brawn homage anyway) makes it work better because of the Brawn colours. I would agree with the sentiment that headsculpts are very important. It's why some things like the later G1 characters are so forgettable for me, because, aside from some exceptions, nothing makes them stand out headwise (this includes Pretenders, mainly the Autobot ones). They're actually completely different molds, and completely different size classes. Hey, I like that head! And I really dislike it when people say things like "I can't believe anyone would like it", it's ridiculous. I don't see how that head is the worst TF head ever, if you could explain your position that'd be nice. That being said, I do like my toys to have good head sculpts, but if they don't it doesn't ruin the whole toy for me. My purchases are determined by how well the figure can pose, mostly. That and whether or not I own the mold already. 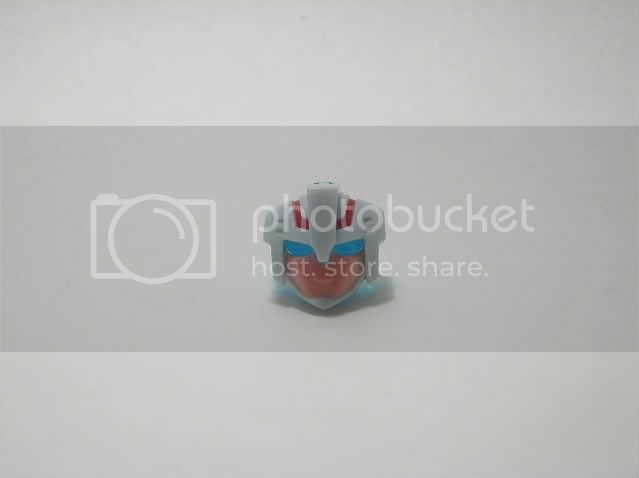 The headsculpt means a lot, for instance if half of the universe repaints like Blaster, Springer, Blades etc had been given a proper headmold I may have bought them. As it was they were just crappy repaints. The head sculpt is one of the MOST important things for me, as its the most iconic and defining aspect of individual transformers. A great head can turn an unappealing toy into a good one (sideways --> botcon scourge), or make a good toy even better (Crumplezone --> Botcon Optimus Primal). The headsculpt is pretty important for me. I flat out refuse to buy a repaint unless it's a G1 character (Starscream/Skywarp/Thundercracker, Prowl/Bluestreak/Smokescreen, etc.) or if it has a new head. The headsculpt is pretty important to me because it relays the Transformer's personality, and as I only collect my favourite characters their personality is important to me. Example: I love Universe Galvatron despite his flaws because I thought they caught his face perfectly in the headsculpt. It's why I'm not really invested in the G1 toys or the Reissues: there weren't many of them that captured what the character in question was all about. ...That being said, I did buy a 2007 Bumblebee despite his hideous headsculpt because I felt sorry for him. Same here. Head's are really important feature. One reason I avoid buying the "twins" from ROTF figures. Their heads look really stupid and makes them look like a bunch of retards. I'd think the headsculpt is pretty important. Heck, in the case of many retools the only real difference IS the head. I know people make such a big comotion about every time Cliffjumper is just a Bumblebee repaint and should have gotten a new head, and they do go gaga in those cases when he does get a new head (like Ani. Cliffjumper). Armada Starscream, for all that mold's shortcomings compared to today's toys, still looks good with his awesome headsculpt and so-characteristic smirk. I was drinking a glass of soda when I read this, almost spit it all out over the screen. I will say this, originally I really didn't want a Classics/Henkei Prime/Convoy the more I looked at him and especially his head, the more I liked it. Then I learned about the G3 trailer, and thats what put him atop my list of what Ill be buying from the internet next. Head sculpt is a huge deal. The movie verse figures wouldn't be nearly as bad if they had decent head sculpts instead of looking like robot insects. Of course they'd still be bad, but not as bad. I can take a '55 chevy model kit, re-shell it, paint it black with flames, but it isn't really Big Daddy unless I make an effort to get the head right. I think what makes most of the PCCs for me is their amazing head sculpts. I would say its incredibly important for a feature for me to consider when deciding between various figures. One figure to note that I wouldn't have bought if not for the head would be Animated Sentinel Prime. The paint/sculpt there sums up the character at a glance, which is powerful characterization and focus right there on the head. It's also why toys like Season 3 G1 Rodimus Prime make me throw up a little on top of his other problems. Movie Swindle and Dreadwing. Due to lack of proper head they have ZERO character about them. A decent head is a deal breaker.